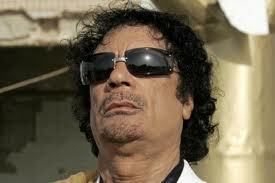 Peter Wolf: Is Gadaffi the new Bin Laden ? Its very curious that Gadaffi has disappeared but its certainly possible but its certainly possible Gadaffi has already been captured or even killed off or paid off and disappeared while in the meantime Gadaffi is still at large which means a continuation of the war in Libya as its easily possible that the actions of Gadaffi loyalists could be directed by intelligence agencies like the CIA because if Gadaffi is still purported to be free it means the war will continue and if Gadaffi is dead then the supporters of Gadaffi will still oppose the takeover of Libya[but less so as it will reduce morale amongst Gadaffi supporters] so if you think about that it seems obvious that its easier to continue letting Libyans think Gadaffi is not captured or dead as it will fuel resentment towards ALCIADA Libyan rebel forces and the UN and US/NATO which will create a more justifiable pretext to invade and occupy than otherwise as its easier to sell the occupation to the public that way. 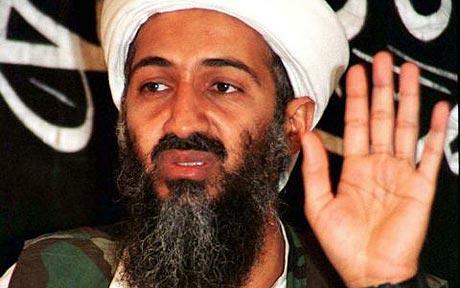 There needs to be an enemy to justify the actions of the UN and NATO etc so i am speculating that Gadaffi will be used as another Bin Laden as it will justify huge amounts of resources and expense to track him down when he isnt there just like Bin Laden and because it will justify huge amounts of resources and expense it means more taxpayer $$$$$$$$$$$$$$ will be allocated to the capture of Gadaffi.